I have had a number of phone calls and e-mails over the years from people asking for my opinion and recommendation for a good restaurant. These are not the only calls I get - often someone will recommend a restaurant to me for a review because they had an enjoyable experience there. Once I had a caller say 'You should review this place because it's so bad you'll enjoy writing it up.' I didn't try it because it had closed down before I could even think about it. My friend Steve has put me onto a few good restaurants so when he recommended CU@Park in Gingin, I was happy to try them, which I did on a warm and sunny Sunday. 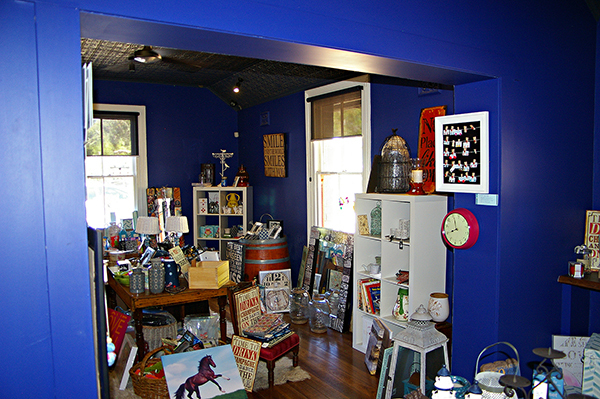 Gingin is a small agricultural town of considerable charm. 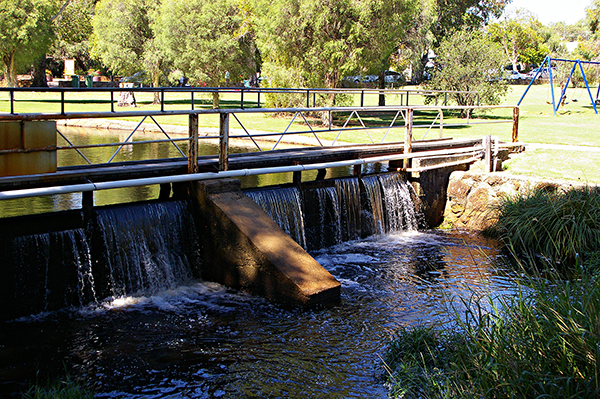 Right in the middle is a large and lovely green park with a river, huge shady trees, ducks and a waterwheel. 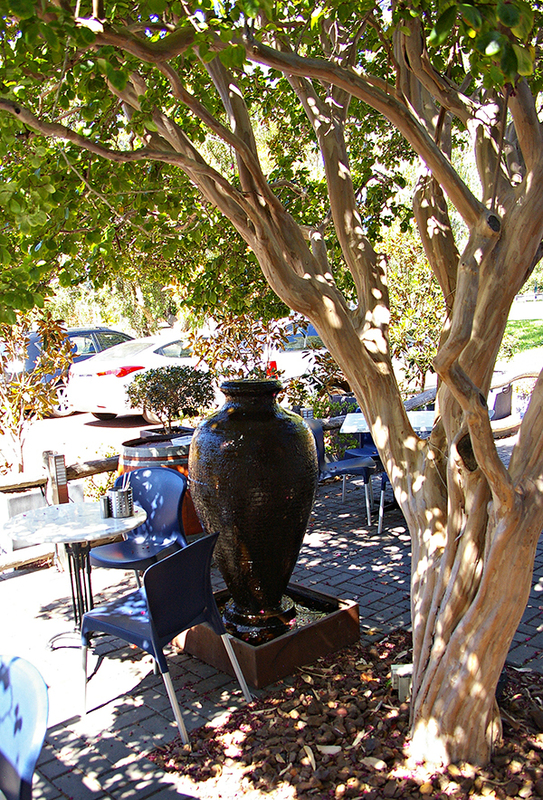 At the edge of the park is a cafe/restaurant overlooking the park with seating inside and out under natural shade or a roofed area. The menu is very large and elaborate for what is essentially a burger joint - CU@Park being famous for their burgers and chips. There are seven entrees from the simple (Garlic Cheesy Bread - $8) to the extravagant (Oysters Your Way - 6 $18, 12 $32). I chose the tempting 'Almond Crusted Prawns' as an entree size ($18.50). 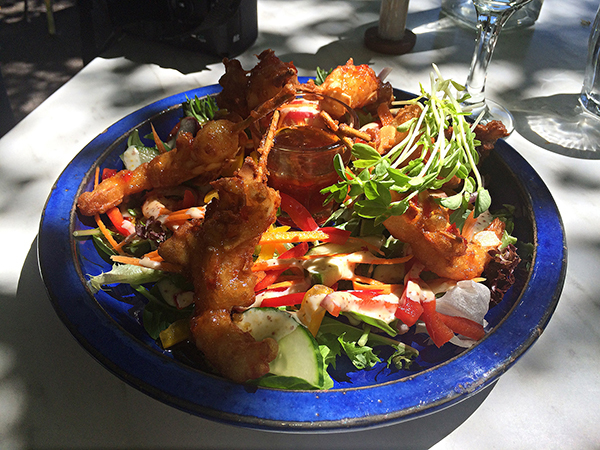 These came skewered in a light tempura batter, rolled in slivered almonds, deep fried and served on a really fresh green salad dressed with Chef Maria's own home-made dressing and a pot of honey and sweet chilli sauce. Delicious. The prawns had their tails on, which I usually dislike, but the shells were cooked and very edible. An excellent dish. For my main I eschewed the 'famous burger' and chose one of the ten mains, one of which was a Carpet Bag Steak (stuffed with oysters) ($35) such as I haven't seen on a menu in decades - an old friend. 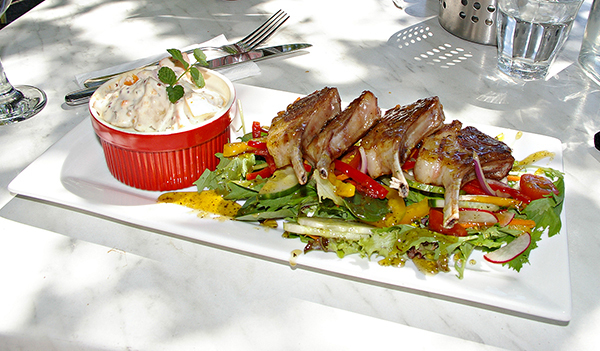 My ultimate selection of 'Lamb Cutlets drizzled with local honey and mint dressing' ($34) was a large portion of four cutlets on the same green salad, but with a different, but just as good, dressing. There was also a pot of potato salad a little bit different - both Nadine and sweet potato in a seeded mustard herb mayonnaise - that was delicious. It was not something I had experienced before, but I will be trying to reproduce it myself. The lamb was rather on the medium side for my taste, which tends more towards the rare, but it was local, very flavoursome and tender. If you are accompanied by the family, and the restaurant is very family friendly, there are two childrens' menus, called 'Ratbags' ($12 including a cordial and ice cream for the ten and under) and 'Attitudes!!' ($16.50 including a soft drink for the ten and over) If you're aged ten, I guess you get to choose being a Ratbag or having Attitude! For sweet I chose a slice of lemon meringue pie, made locally, from the cabinet of temptation - beautifully presented, as indeed were all the dishes. 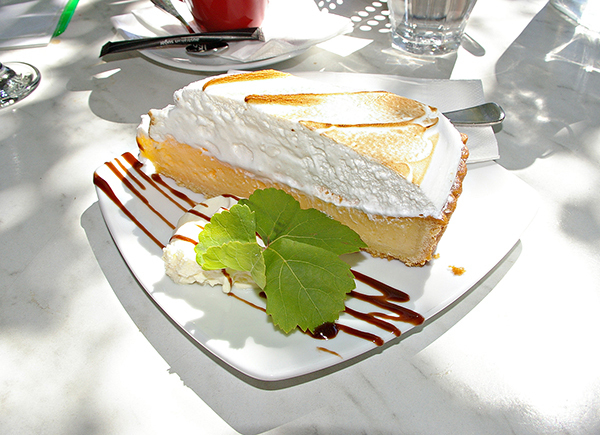 The pie was very sweet, with little of the sharp lemon zing but the meringue was nicely browned. Accompanied by a large coffee, that completed my lunch, which I followed with a browse around the gift shop attached, which offers shabby chic, objects d'art, paintings and prints; then a wander through the park, which is delightful. 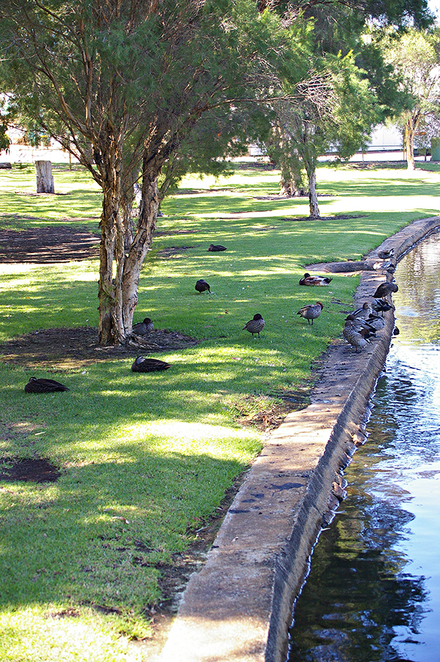 Next time, I'll try the burger and chips ($18.70) and bring something to feed the ducks. Why? A lush green park to look at, great food to eat.